Did anyone notice that there’d been a crucial round of talks to reduce carbon emissions in Qatar in early December? It would have been easy not to. Not long ago, these occasions attracted almost blanket coverage. Now, as the popular focus lies in a desperate search for economic recovery rather than ‘going green’, the discussions and outputs of the latest ‘Doha round’ of talks became one of the most under-reported events of the past year. More’s the pity because it was perhaps a lack of international attention on Doha that permitted an outcome that could hardly be called ambitious, and yet it was an event which contains important lessons for policy makers. The main outcome of the talks was to work rapidly towards a universal climate change agreement covering all countries from 2020, to be adopted by 2015, and to find ways to ensure that the world can stay below the agreed maximum target of a two degrees Celsius temperature rise. 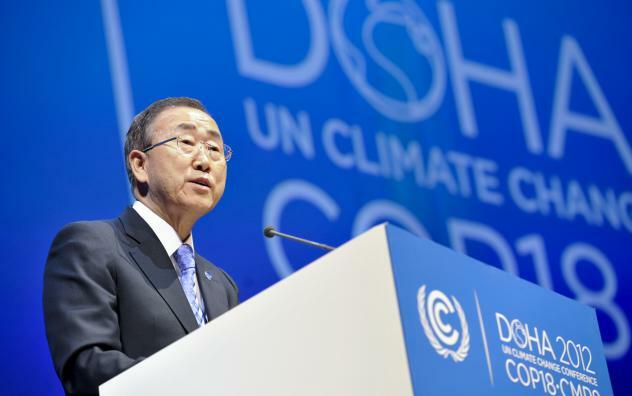 The UN Secretary General, Ban Ki-Moon, is due to convene a meeting of world leaders in 2014 to ‘press home’ the political will to achieve this. Sounds impressive, but what it really highlights is a key concern about the way the industrialised and industrialising countries are eating up the ozone layer at an alarming rate. Having made some reasonable progress to date to reduce emissions, the developed world seems to have ‘relaxed’ of late, causing much anxiety in the developing world. Yet it is clear from the work of the G20 and World Bank that those countries that invest in reducing their emissions now and develop growth policies that are sustainable will be the ones that will gain the most economically, politically and socially, and can help developing countries to grow more sustainably too by providing ‘climate finance support’. For Britain, a country which has championed its strong desire to reduce carbon emissions, the challenge is to develop sustainable transport policies that really help drive economic recovery, thereby providing a world leading example of how to be a beacon of excellence. Next year‘s UN climate talks will be held in Warsaw where negotiations will begin on a new post-2020 deal. Britain, now chairing the G8 for 2013, has the opportunity to demonstrate how countries can both grow and be greener.